Bok did respond to Jesse Jackson’s letter, writing that he shared protestors’ “abhorrence of apartheid.” But the president continued to defend his argument that taking a political stance on an issue would compromise Harvard’s independence as an educational institution. In speeches and subsequent letters to the community, Bok continued to state that it was inappropriate for a university to engage in politics or become a moral watchdog. In the climate of persistent student protests, Harvard eventually divested from South Africa—only partially—and thereafter inaugurated a new policy: The University would not invest in any companies that did more than 50 percent of their business in South Africa. The apartheid protests in 1985 occurred during a fraught time at the University in which liberal students, stuck in “the darkest years of the Reagan administration,” craved the revolutionary change enacted by the notorious rioters of the 60s and 70s, according to Anderson. Some students in the 80s worried that their generation was “boring and complacent” compared with “all the great cultural ferment in the 60s,” Raskin added. 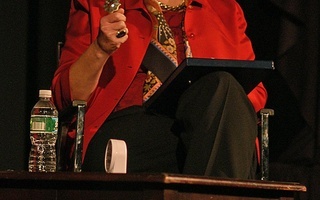 Anderson said that while students cared immensely about the atrocities in South Africa, the events were in part an attempt to revive 60s-era drama. “I would get on a bullhorn in front of a crowd whenever I had the opportunity,” Anderson said. “The political style [of the 1985 rallies] and the cultural references going on were all linked to the 1960s,” Silvers added. Student protestors’ reinvigorated energy eventually led the University to convene the Committee on Rights and Responsibilities (CRR), a disciplinary body that had not been called upon since the Vietnam War-era protests. 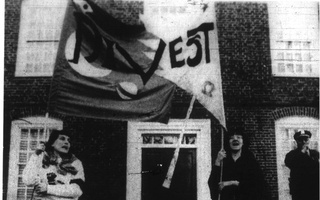 Silvers, who was one of 14 protestors charged in the Lowell House blockade, refused to testify at disciplinary hearings, and was eventually let go without punishment. Silvers said that his activism and interest in organizing as a Harvard undergraduate had “a huge impact” on the rest of his life, shaping his career path after law school. He now serves as the director of policy and special counsel for the American Federation of Labor and Congress of Industrial Organizations (AFL-CIO), a national trade union. Silvers said that his current work often focuses on issues related to capital markets and companies’ investment decisions, similar to the case in urging Harvard to divest. Although Harvard never did fully divest from South Africa, 25 years later the student participants look back proudly on the small role they played in the downfall of the apartheid regime. The focus on building solidarity through recognizing our intersectionalities of experiences of apartheid is important.